This is one of the most obscure facts out there, the cost to make a penny in the United States (in fact in most countries) is more than the actual cost of a penny. 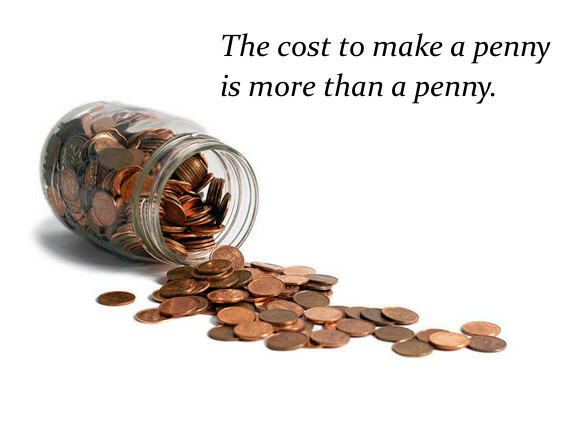 In fact, as of 2014 it cost 1.7 cents to make 1 cent. This is very strange and brings up the question, why is the cent even still produced? The reason the penny was first produced was simple, it was worth relatively a lot many years ago, but inflation has made is obsolete, and in fact costs the US government, and ultimately the tax payer, money just to keep producing it! Many countries, such as Canada, have since stopped producing the penny and have allocated that money now into more important things.